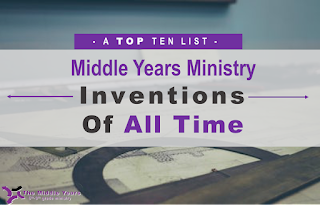 The Middle Years : Top 10: Middle Years Ministry Inventions of All Time! 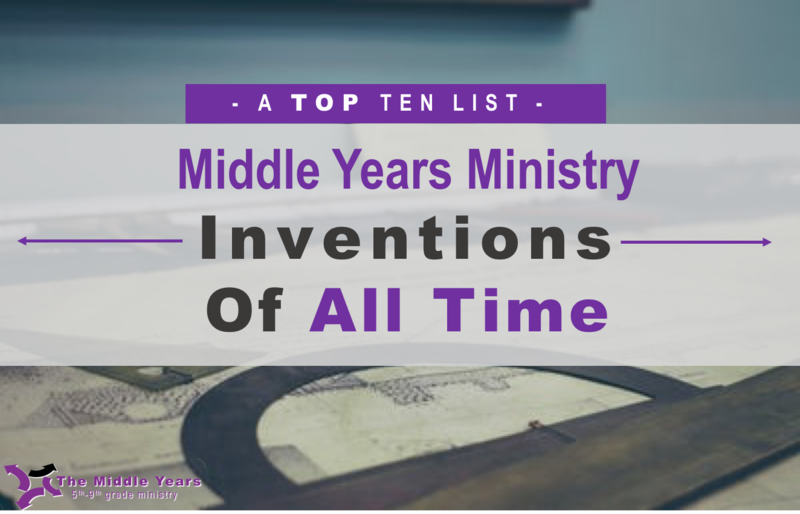 Top 10: Middle Years Ministry Inventions of All Time! 9. WATER BALLOONS: Fill them with anything you want...even water, because these ARE the Bomb! 8. TOILET PAPER: Wrap something, somebody, or someplace? 7. RED BULL: The nectar of God poured out and running down your beard like dew from Mt. Hermon? 6. T-SHIRTS: How else would anybody know what we have been doing? "Hey what is going on the youth ministry?” "Glad you ask! Please refer to my t-shirt from last weekend's "Boy's Gone Wild Spiritual Retreat"
5. MARSHMALLOWS: Come on if you look in the original languages "manna" translated "what is this stuff?" and was described as white stuff falling from heaven...HELLO!! Roast, Fling, Dodge, Shoot, just never say “Bunny”?! They are the manna from heaven!? 4. DODGE BALLS: Whatever form they take, it is our own special modern day version of public stoning and tons of fun for the whole group. 3. DUCT TAPE: Youth ministry or not, it had to make the list. Besides how else would we get that tiny little 6th grade girl to stick to the wall for 30 minutes as an object lesson? 1. MILK SHAKES!! How many 5th-9th grade lives have been changed by the phrase "Hey, let's go grab a shake after and talk, I heard about...."